Since the modern industrial revolution, the global economy has developed by leaps and bounds. At the same time, mankind has paid a more painful environmental cost. With the increase of greenhouse gas emissions, extreme weather has become more and more common, and it seems to be the inescapable fate of mankind. The main culprit of environmental pollution and the greenhouse effect are industrial greenhouse gases and pollutants emitted into the atmosphere. In order to alleviate the environmental impact of global industrialization, strategies to control volatile gas emissions have been implemented internationally, and international standards or norms have been formed. 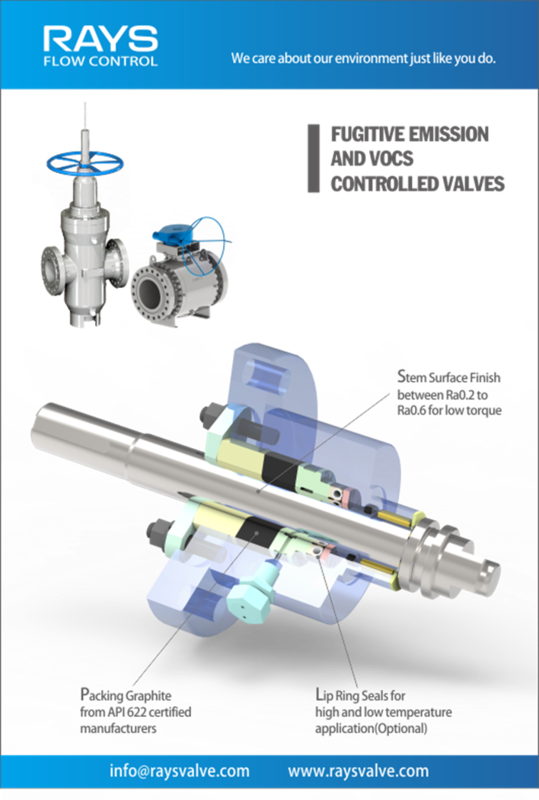 While some developed countries have taken the lead in environmental control, we have also issued and implemented standards for FE valves, and are increasingly accepted by users. Every two years, “FUGITIVE EMISSIONS SUMMIT CHINA” takes place within the global industry while sharing their: experience, technology, and innovation on the topic of escape leakage control and LDAR practice. It is precisely because of the release of such relevant standards and the organization of activities that the standardization of fugitive emission has been more widely studied and developed. Fugitive emission refers to the emission of any chemical substance or compound in any physical form from an unanticipated or untrue leakage of equipment in an industrial site. The scientific dictionary defines fugitive emissions as Contaminants released into the atmosphere due to leakage, evaporation or wind, as well as several concepts related to them – such as low-evaporation of organic compounds. Typical chemical plant leak sources include valves (packing, bonnet connections), pump seals, compressors, flanges/joints, and safety/pressure relief devices. Valve leakage includes external leakage and internal leakage. The general leakage evaluation standard for valves is the visible leakage of the valve. However, fugitive emission strictly refers to invisible leakage, which needs to be detected by means of instruments, and often refers to leakage in packing area and gasket area. Gasket area is generally static seal and easy to control/diffuse leakage. Packing area is a dynamic seal and the movement of valve stem is easy to cause packing leakage. The packing has a higher expansion value at a higher temperature than the metal member in contact therewith, and the packing is compressed. If the packing can pass the fugitive test at normal temperature, it can pass the fugitive test at high temperature (the loss rate of the filler itself is small), so the packing can easily pass through at the first normal temperature and the first high temperature. 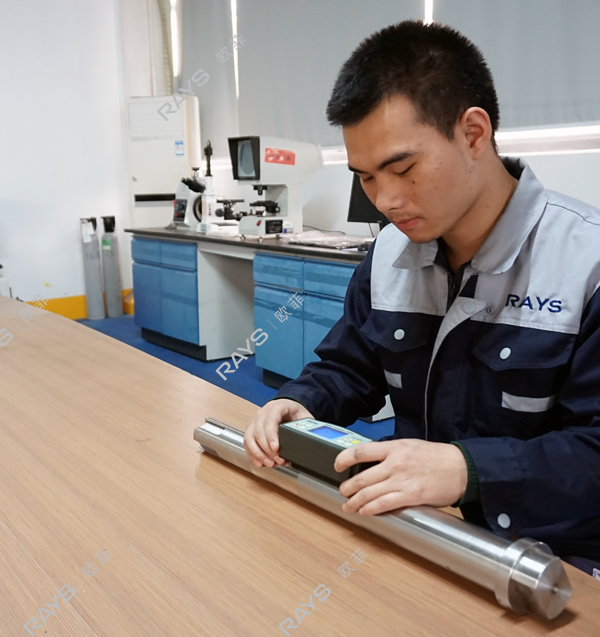 If the temperature is lowered from the first high temperature of 400° C to the second room temperature test, the shrinkage of the packing is larger than that of the metal part, but the cavity of the packing is unchanged compared with the first room temperature condition. Theoretically, the volume of the graphite packing is also unchanged. However, after high temperature, the packing has a certain loss of burning, so the inside of the packing will become loose. Then the resilience of the packing will decrease, and the stress inside the packing will be lowered after the high temperature drops to normal temperature. The torque of the pressure plate bolt is reduced, which is easy to cause leakage. However, by applying the packing to the torque value at the first room temperature, the original leak rate can be satisfied. The shape and position tolerances of the parts that have an influence on the packing fugitive test are: the straightness of the valve stem, the machining position tolerance of the valve cover and the stem nut, and the assembly error. The accumulation of error eventually causes the valve stem to deflect at an angle to the packing. The side pressure of the packing rod in the reciprocating motion is constantly changing, and it is easy to cause leakage in a place where the side pressure is small. Also, after a certain number of reciprocating movements of the valve stem, the continuous extrusion of the packing causes the effective clearance of the inner hole of the packing to become larger, resulting in easier leakage. The smoother the stem and packing gland, the easier the packing will seal. The tiny unevenness of the graphite-filled metal surface is much easier. From the economic analysis that satisfies the seal and valve manufacturing, the surface finish of the stem is generally Ra0.4-0.6 μm, and the surface finish of the packing gland is generally set to Ra1.6-3.2 μm. Valve design and manufacturing should ensure that the gap between the gland and the valve stem is greater than the gap between the packing gland and the gland. This is to ensure that the valve stem will not bite with the gland during the movement. Although the gap between the gland and the valve stem is smaller, the packing is easier to seal, but the gap between the gland and the valve stem should not be too small. Due to the manufacturing error of the valve, too small of a gap is likely to cause a bite on the valve stem. Due to the presence of the packing end ring, maintaining a proper clearance between the gland and the stem does not cause the packing to leak beyond the standard. The environmental impact of the valve during use is an important indicator to evaluate the performance of the valve. Among them, the fugitive emission index of the valve is an important parameter to evaluate the environmental protection of the valve. The FE requirement of the valve has become the basic requirement for valve design and manufacture. In 2015, the API600 standard, widely used in the valve industry, first added the API 624 to the standard text for the valve’s FE test. 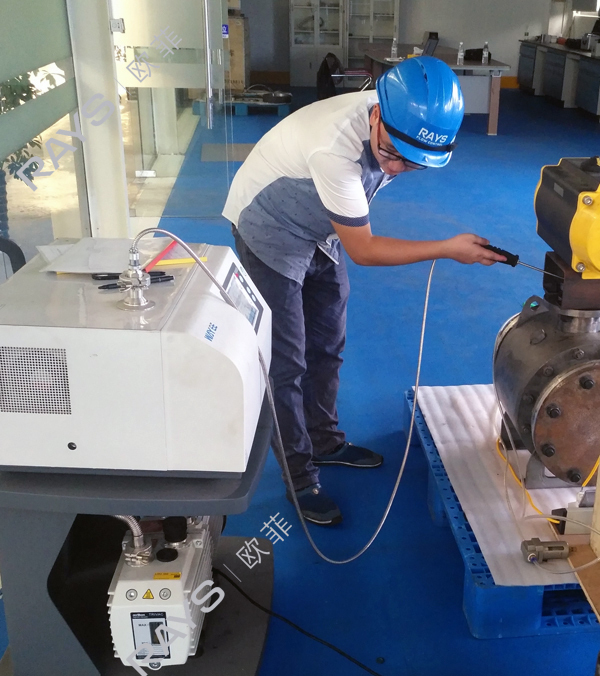 With the Chinese National Standard (GB), the valve standard for hydro-treating units has also clearly required FE testing in accordance with ISO15848. ISO15848, VDI2440, API624, MESC SPE77/312, etc. are FE standards that are widely used in the valve field. These standards are based on helium or methane gas as a leak detection medium and are detected by proton spectroscopy. The sensitivity is usually 10-12 Pa*m3*s-1. Fugitive Emission is not a new topic. Although society’s concerns about air quality and environmental issues continue to heat up, the petrochemical industry’s application of FE control, leak detection, and repair technology have only just begun in recent years. Undoubtedly, the requirements for FE testing and evaluation have promoted the continuous improvement of industrial development. As far as the valve industry is concerned, the precision of machining and the quality of seals continue to improve. Thus, FE valves will gradually become the mainstream of the high-end valve market.